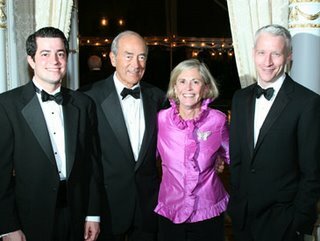 New York Social Diary.com published photos and a brief description of the dinner dance/ fund raiser at Mir-a-Largo in Palm Beach, Florida, held several weeks ago. 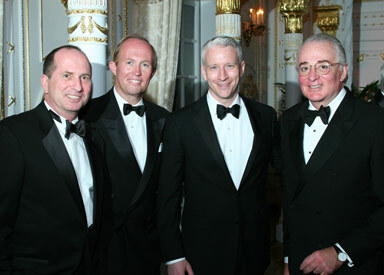 Quoting the article "Anderson Cooper was honored for his frank and open reporting on depression and mental illness. Cooper was introduced by Mike Wallace. In his speech, Mr. Cooper talked about his brother’s suicide and how 17 years later he is still trying to understand why his brother Carter made the decision to end his life. Everyone in the room was touched by his words and when he was finished he was given a standing ovation." Now that 360 has come to Arizona, why would they want to go back to cold, rainy New York? I've thought about it and decided Mr. Anderson Cooper needs to stay awhile. So I've compiled a list of things he could see and do while in Arizona this week. If you happen to run into him please pass it along. Baseball Spring Training, we all know how much he loves sports and the Yankees are in town! Disney on Ice - Ice Princess Classic, what says more about visiting the desert that seeing any show on ice? And the number one reason for Anderson to stay in Arizona? He could take me to dinner! As I sat watching Anderson, John King and John Roberts on Tuesday night all I could think was, Grecian Formula is screwed. Those are some fine looking men with fabulous grey hair. Why dye grey hair when you can look that good? What, you think I'm being superficial? Well, let me add that they are eloquent and informative too. One of Anderson's off the cuff, snarky comments tonight caught my ear. He said "nice to see someone in the White House pays attention to polls". I get that he is frustrated with our government's non- responsive attitude to the press. I see a parallel in that, as bloggers, we get no response from he that we blog about either. Pot calling the kettle black, probably not, but close enough. 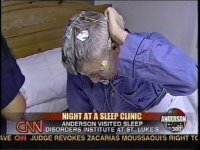 Today CNN announced that Anderson will be traveling to my state, again tomorrow. 360 on Wednesday night will be broadcast from the Arizona border town of Nogales. Anderson will be covering the huge problem we, in Arizona, have with illegals crossing into our state at an alarming rate. Yesterday (Monday) alone Arizona Border Patrol stopped 1,000 illegals trying to enter Arizona. 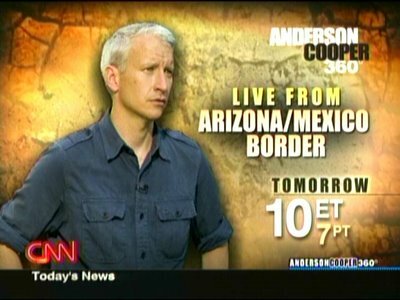 I don't know how many of you remember that AC took a night off, mid February, to come to Arizona and work on a story that has never aired? I had suspicions about the story he came to work on but not knowing for sure has bothered me for 6 weeks. I'm hoping that tomorrow he'll connect the dots. The border security story is really not the Arizona story I was hoping he was covering, but it's a story that needs to be told. When Anderson was here in February I happened to be traveling between Phoenix and Tucson on some personal business. During my trip I saw 2 ICE (Immigration Customs Enforcement) raids going on roadside. Both involved large numbers of illegals who were being transported from Nogales to Phoenix and beyond. If you don't live here you don't understand, this is really an everyday occurrence. What is upsetting to me is these illegals have paid large amounts of money to coyotes (people who organize the smuggling) and then are crammed into vehicles if they are lucky. The unlucky ones travel by foot across the desert, where many die because of the heat in the summer or exposure to the cold in winter. If our government would stop arguing and develop a plan for these hard working people to enter our country and perform jobs that most American's aren't interested in doing, we all would benefit. One last comment about tonight's show. I don't know Lou Dobbs background on border security but I sure am enjoying a newsman whose not afraid to share his opinion passionately. What a pleasant surprise for a Monday night. Surprise, surprise, surprise. Mr. Cooper joined us for a wonderful 360 tonight. So I guess the vacation watch continues. Monday night was The Gladd Media Awards ceremony in NYC. 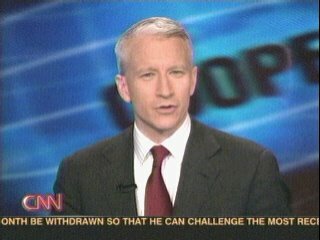 Anderson was nominated for 2 awards based on news stories he did for CNN in the last year. It's doubtful he attended since he wasn't the winner in his category. The outstanding TV Journalism Award for a news segment went to Andrew Goldstein ESPN SportsCenter (ESPN). To read more go to GLADD 's website. I missed Erica Hill tonight, but was happy to see one of my personal favorites, Christi Paul handling the newsdesk. Christi was an anchor in Phoenix and she is a tireless supporter of local charities. In fact, she was back in town on Friday, working with The Florence Crittenton Foundation along with Jane Seymour. The luncheon was attended by 750 people and proceeds go to helping at risk teenage girls. And just because Anderson loves the cute doggie videos I thought I'd share another. Enjoy. The part of the beautiful Snow White will be played by the lovely and talented Erica Hill. Actually, I want this to be my part, but I figured it sort of ruins the premise. So I begrudgingly yield to Ms. Hill. Come on people, this is an Anderson Cooper fansite, who else would be the handsome prince? Alright, it's not rocket science. Doc played by Doc. Duh! The handsome and talented Dr. Sanjay Gupta must have an equally wonderful bedside manner! That Snow White is one lucky babe. Who else to play Grumpy but that crusty curmudgeon Jack Cafferty? The part of Dopey was difficult to cast. Dopey is such a lovable dwarf but not the sharpest crayon in the box. I hope Rick Sanchez doesn't take this personally. He always gets the dopiest assignments (think Tazer and sinking car) so he drew the short crayon. John Zarrella seems a natural to play Happy. Just thinking of his annual New Year's Eve coverage in the Florida Keys makes me smile. Ed Lavandera is Bashful. Well, I'm not entirely positive that Ed is really bashful, but let's just assume he could be for the sake of the story. I love Ed and am so happy there was a part for him. Sean Callebs is Sleepy? Well you would be to if you'd been reassigned to New Orleans. Bourbon Street, chasing Mayor Nagin, no decent place to get some shut eye. So I rest my case. Sean is definitely sleepy. Don't know why Gary Tuchman is sneezy. Guess he just reminds me of the skinny kid in school who always suffered from allergies. It's a stretch, I admit, but my last casting will be so brilliant you'll forget all about this in a minute. Nothing to say but Wicked Queen - Nancy Grace. As I write this entry I have a feeling of impending doom. Life is going along too smoothly. 360 has been fabulous the last 10 days or so, guests have been good, repeated segments seem to be decreasing, snarky AC seems to be returning and the Erica banter is A+. So what's the impending doom? Well let me give you an analogy. You know when Anderson's hair is getting just right and you really can't enjoy the beauty because you know what is coming? Well that's how I feel about the last 10 days, it's too perfect and can only mean 1 thing ..... VACATION!. Be it this week or next or not too long after that we will be Anderless soon. So start stocking up on those DVD's you haven't had time to watch or better yet blow the dust off your copy of The Mole. It's only a matter of time until we're going to need them. 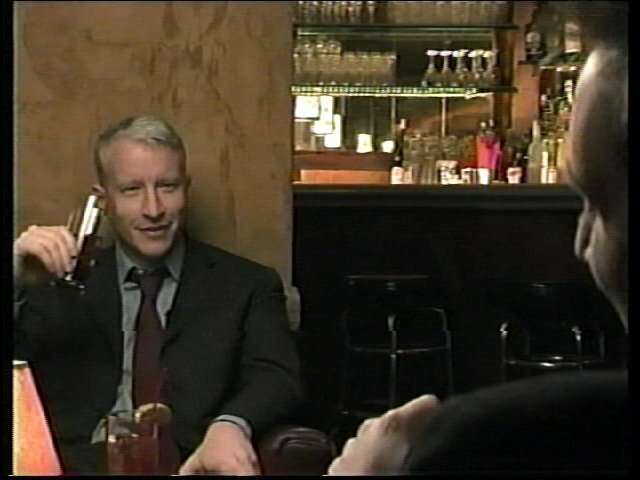 Tonight's show from New Orleans was indicative of what Anderson Cooper does best. He's great in the studio, excels in communicating via the written word, but always shines brightest when in the field. Personally, I feel his father's Gulf Coast roots fuel Anderson's passion for delving into the struggles and triumphs of Katrina victims. It's like his father has given Anderson another gift from the grave. A voice that is finally being heard by a significant portion of Americans. And with this newly empowered voice Anderson now holds an awesome responsibility to show us other injustices in our imperfect world. This new prominence, this louder voice carries with it a large responsibility. One that I know AC feels and I just as surely know he is up to fulfilling. Things are changing at CNN. There is a new, improved 360. Don't know what precipitated the enhanced content and absence of repeated segments, but it's a wonderful change. I do believe we're even beginning to get some snarky Anderson back. I had resigned myself to serious Anderson and gone back to watching Keith for the snark, so I'm a happy camper. Wednesday Anderson will be reporting from New Orleans. I anticipate another great 360! I am thoroughly enjoying Dr. Sanjay's sleep segments this week. I've always wondered how he could manage a busy neurological practice, CNN duties and newbie fatherhood. Now I know, he just doesn't sleep! 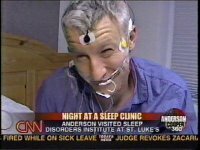 All this talk of sleep and dreams brings me back to my favorite anchor who did his own little sleep study series a while back. I've uploaded the video and I'm including a few screencaps for your viewing pleasure. Now this is the stuff sweet dreams are made of! For those of you, I'm sure this includes Mr. Cooper, who just don't get the Anderadoration, let me clarify. These photos are not meant to mock or ridicule AC, just another example, for me, of the extremely lovable, dorky Anderson. Hey 360, How About Keeping Our President Honest? A few random notes on Monday's 360. The newsie in me is disappointed with Anderson and his 360 producers. The President was asked today about the administration's prewar claims that Iraq sponsored the 9/11 terrorists. Bush responded: "I don't think we ever said, at least I know I didn't say, that there was a direct connection between September the 11th and Saddam Hussein. " That's where CNN dropped the ball. Earlier in the evening Keith Olberman played the the same sound bite and followed it with the actual clip of President Bush saying that we are in Iraq because of Saddam's direct involvementnt in 9/11. So I ask, did 360 just not do its homework or are we seeing a lack of keeping our President honest ? The fangirl in me noticed that AC might have gotten a trim over the weekend and maybe a new tie? Very blue, very fabulous, the tie, not the hair. Also, though he didn't mention it, I do believe he was not in his New York studio. Anderson is slated as the keynote speaker tomorrow Business Roundtable's Partnership for Disaster Relief in Washington, DC. Best guess is he's spending the night in our nation's capital. Finally, we are all aware of Anderson and Erica's love of the cute animal videos. Remember the smokin chimp and the monkey riding the dog? Well I found an animal video that I'd love to see Erica share with Anderson, but it will never happen. Be warned it's X rated! 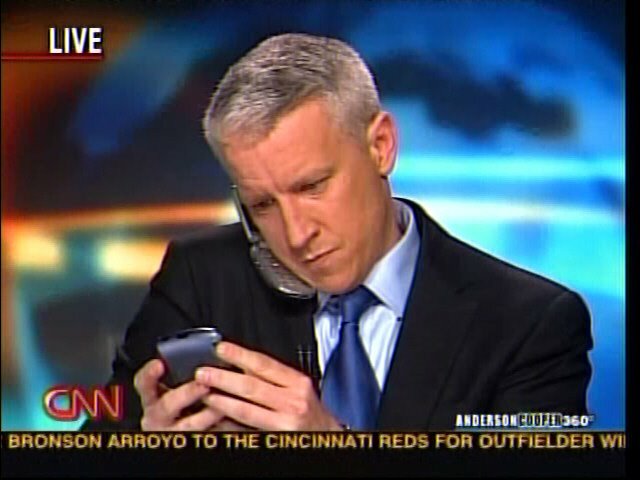 Just wanted to add a few great pictures of multi-tasking Anderson. Adorkable. One of the bonuses of being an Anderfan and blogging are the wonderful, friendly people you meet. Most of the fans I come in contact with are attracted to Anderson for his compassion and sense of fairness. 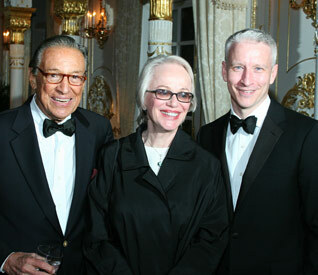 Some, I think, are convinced they are destined to be Mrs. Anderson Cooper. Best to just stay out of their way, eventually they give up and move on. The rest of us wear our Anderblue blinders and hold cyberhands nightly softly humming kumbaya while enjoying Mr.Cooper. That said, let's all clasp hands and enjoy the Anderbeauty. Happy Monday everyone! Lately 360 has been cutting us short on Friday nights. Again tonight was only an hour show, but looking on the bright side at least we didn't have to endure the tedious repeated segments. Since it was a slow night I've got several wardrobe updates to mention. Forgot to blog that AC wore my favorite tie last night, the blue one with tiny dots. Tonight's shirt was striped, and might have been new? Also lots of the Anderfans were mentioning his lack of wear'in the green Friday night, since it was St. Patty's Day. Several suggested he might have been wearing green underoos. Anyone want to volunteer to check that out and get back to me? And lastly I'm doing this one just for me! It's an odd place I'm in, stuck between reality and fantasy. Fantasy is so much more fun. So with that in mind here's my sadly fangirlish attempt to show how much Mr.Cooper and I have in common. Happy St. Patrick's Day Anderfans! Top o'the morning to ya Anderfans. Yours truly is in a wonderful mood today thanks to the lovely Michael Gelman (more on that later) over at 'Live With Regis and Kelly'. 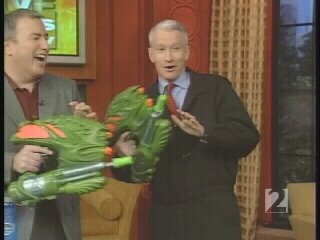 Anderson's co-hosting appearance on Thursday was just about the cutest thing I've ever seen. So here goes with a few fandom comments. I want to make Anderson a promise. He said he finds it so annoying to be eating with someone in a restaurant and they answer their cell phone. It makes him feel like he's not interesting enough to hold their attention. Anderson, dear, I promise if we ever have dinner together I will not even think about answering my cell. I'll flush it down the toilet if that would convince you. Which brings me to my next observation. If you are ever lucky enough to talk to AC on the phone and he starts coughing please realize he is in the bathroom and just flushed. He admitted to Kelly that is his method of masking the incriminating noise. Did anyone else notice that Anderson stole Erica's billion dollar bill story and used it on 'Live'? Wonder if Erica will call him on it? And did you catch the lean in to Vin Diesel at the break? Seemed to me Mr. Cooper was explaining his very personal connection to Sidney Lumet, director of Diesel's new movie. I'm sure I lip read "My mom" which would certainly to be followed by 'was married to Sidney before I was born'. I was particularly surprised to hear Anderson talk, with knowledge, about American Idol. He seemed as surprised (and maybe a little too pleased) by Ace being in the bottom three as most of America was Wednesday night. He also admitted not understanding Paula Abdul. Sounds like his life is filled with Simons, who only focus on the bad not trying to find the good in everyone. I try to be a Paula, and that's how I imagine Anderson, too. Are you a Paula or a Simon? 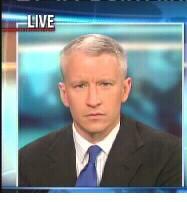 Not surprised that Anderson enjoyed the Ludacris segment, since it was about Chris's guest appearance on CSI. AC loves his CSI. Loved Anderson singing the 'da dum'. Best, best, best part of the show was Anderson playing with the toys. He's just such a kid at heart and was really enjoying himself. The giggles, the smiles, the looks at Kelly as he took aim with the slime, I loved it all. They taunted and teased each other like my son and daughter did when they were kids. Good chemistry, great to watch. Jump suit:$40, slime gun:$25, Anderson getting slimed: priceless. Oh and I forgot the Coke Black bit. So funny to see him swirl and spit. Could he be any more adorkable? And Anderson you're not alone, I've never tasted coffee either, so thanks for saving me the $1.19 it would cost to try Coke Black. Yuck! Finally, if you'd like to see more of AC on 'Live' please think about sending Mr. Gelman (the producer) a fax, 1-800-330-1106. I did last week (suggesting maybe AC could co-host when Regis was on vacation) and I plan on following up with a thank you today. 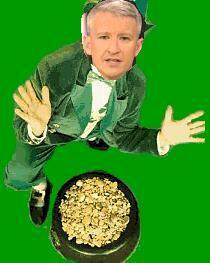 Kelly is on vacation in 2 weeks, but I'm sure I'm just being greedy to think we could see Anderson co-host with Regis, right?